Here are yesterday’s qualifying times again, this time with the fast drivers noted. Four of the Oscars managed to squeeze laps out of their second drivers with the No. 65 entry employing all three during the brief 20-minute session. Somewhat cooler and cloudier today, but still a tad humid—that means there may be less need to down bottles of Pocari Sweat. That is perhaps the original “sports drink,” predating Red Bull. Unlike the over-caffeinated Gen X & Y drinks, this one actually is palatable and refreshing—at least as long as it is kept cool. I left a bottle out in the sun yesterday and when I came back to take a sip it had a flavor somewhere to the south of fermented monkey whiz. I do think that the owners should consider buying an F1 team and renaming it. Five of the cars from yesterday (7, 111, 65, 66, 8) did not make the various qualifying minima and their acceptance will be based on observation during today’s warm-up session—any bets on any rejections? Nos. 37 and 52 have already been accepted despite not meeting all the minima while the team of cars 7 and 77 have been fined ¥50,000 for missing a briefing. 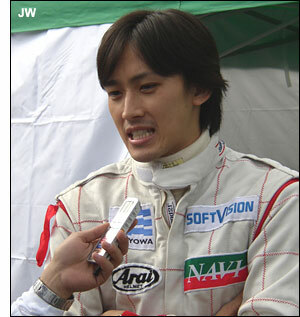 Shinsuke Yamazaki (above - no, not immediately above) notes that from his 4th spot on the grid his concerns are that the Lamborghini and possibly the Ferrari can catch him on the run to Turn 1. 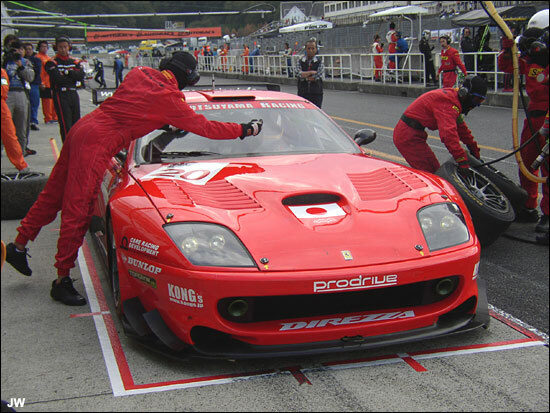 After that the concern is whether the GT1 cars can see the GC-21s coming up from behind. The No. 66 Oscar has missed the call to the grid. It is in the garage with clutch problems. Here is the actual grid order, established after the various adjustments; 21, 16, 15, 18, 88, 4, 20, 3, 37, 52, 111, 65, 66, 27, 9, 77, 930, 5, 7, 8. Kato is ahead of Ara by a good three seconds partway around the first lap. Both are another six seconds clear of the fray behind - and fray it is. 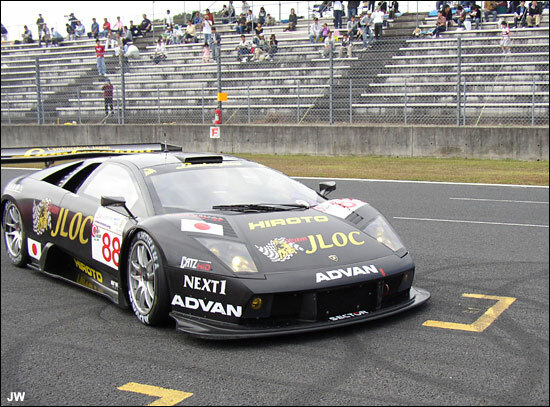 Yamanishi punches the black Lamborghini ahead of the various sports-racers. 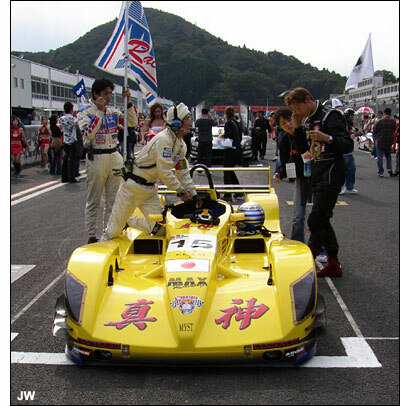 There appears to be contact between Yamazaki’s GC-21 and the new Oscar of Sakaguchi. Yamazaki has dropped well behind. In fact, he will be penalized 30 seconds for a jumped start. Meanwhile, the No. 15 Oscar-Honda is in for repairs to the rear. Shimazawa managed to get No. 66 started while the rest of the field was still on its first lap. Five laps in and the gap is enormous with the Zytek 11 second clear of the Courage. It’s another 20 back to the GT1 leading Lamborghini. 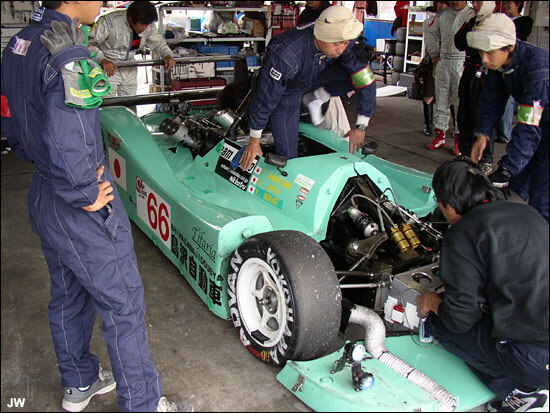 The two team MYZ GC-21s lead P2 with Sakamoto’s No. 4 just ahead of Yamamoto in No. 3. 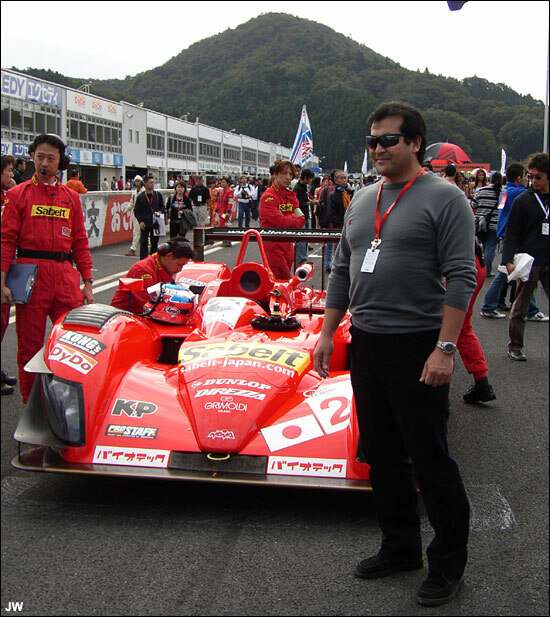 Kataoka’s Ferrari is sixth overall, mixed in with the P2 cars. Takagi, as expected, is having an easy time of it in GT2 with the No. 27 Porsche. The second in class No. 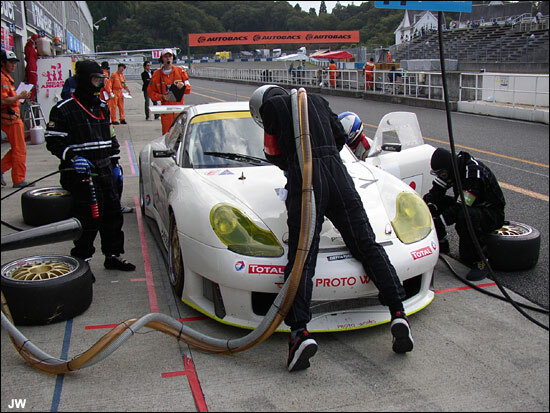 77 Porsche of Kumita is some 30 seconds and several spots in the overall classification behind. After 15 minutes the gap between the top two stabilized at about 12 seconds with the third place Lamborghini edging towards being lapped. 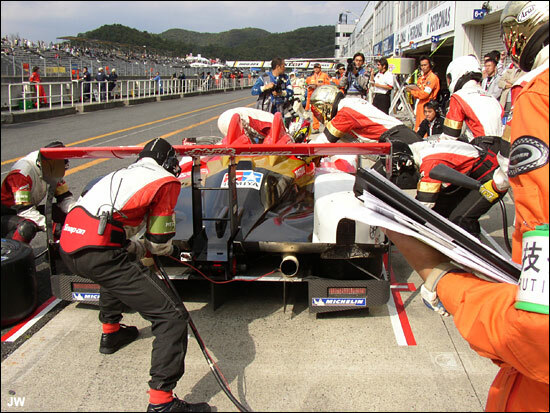 Yamazaki served his penalty and then later made another quick repair related stop. 20, 15, Oscar-Honda, in pits since lap 3. The No. 65 Oscar seems to be the first to have made a semi-routine stop—but still far too early. It has not been running well. Then at exactly the one-hour mark the Courage stops and Ara stays aboard. Then come two other putative P1 runners, Oscars 111 and 66. Still no sign of the yellow No. 15 Oscar, although the crew claims not to have given up. The No. 7 Mazda is the first of the GT runners to call. The Zytek comes in for its stop and there is drama. The engine cover comes off and the crew attacks the cooling system. Ara passes into the lead. More routine stops come at about the 75 minutes mark with the Lamborghini, No. 4 GC-21, and the Ferrari all calling. The ever wider gaps mean that the stops are not particularly scrambling the positions. The No. 3 GC-21 had moved into second overall before it became the last of the leaders to stop. Neither of the top two GT2 cars has yet pulled in as we near the 90-minute point. When that time does arrive, it’s Dragon in No. 77 who comes in first. With the stationary Zytek, the No. 4 GC-21 has risen to second overall while the still circulating No. 27 GT2 leader is up to fourth. Meanwhile, both the No. 18 GC-21 and the No. 37 Oscar are in the pits with problems. We’re a long way from being 33% into the race and we have a bevy of unhealthy cars. 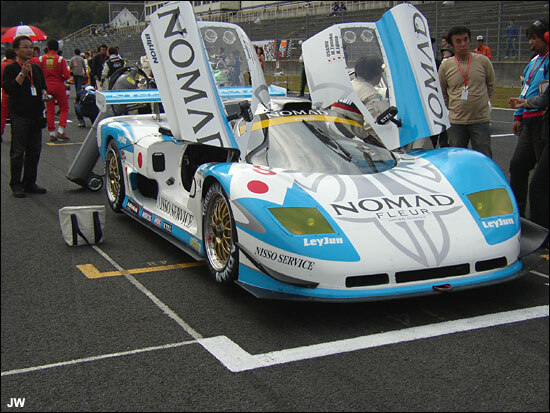 The Zytek returned after a half-hour in the pits. The No. 52 Oscar is having the cooling system rebuilt and the No. 37 Oscar is having engine and electrical woes. The long, long delayed No. 15 KK-LM model has gone back out with Ishikawa now driving. They found that the rear end damage had affected the engine and had to make a couple or more stops to get it running reasonably well. The car that it tangled with, the No. 18 GC-21 also returned to the course, now running smoothly. 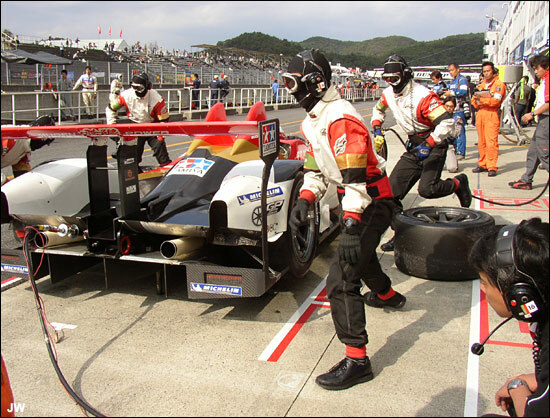 Like clockwork, the Courage stopped out of the lead at exactly the two-hour mark and Haruki Kurosawa has hopped aboard for his first stint. Here is the two-hour rundown. And at three hours—you can note any differences. The only event at the moment is that Aso in No. 18 is slowing on course. A moment ago four cars were visible simultaneously. The No. 4 GC-21 and the Lamborghini, although in different classes are in a good battle for second overall. The GT car has generally been lapping quicker but has stopped once more than the little sports-racer. The black Le Mans veteran briefly held second spot before making another stop. The No. 5 Porsche seems to have stopped again. That is most unfortunate as when it is circulating it has been at least the equal of the GT2 leading No. 27 996.